The Islander Seattle's most popular Party Ship and can accommodate over 200 passengers. At night, with a little sprinkle of Tinker dust, The Islander transforms into a beautiful lit cruise ship, setting the right atmosphere for partying! Come aboard and well show you the time of your life! 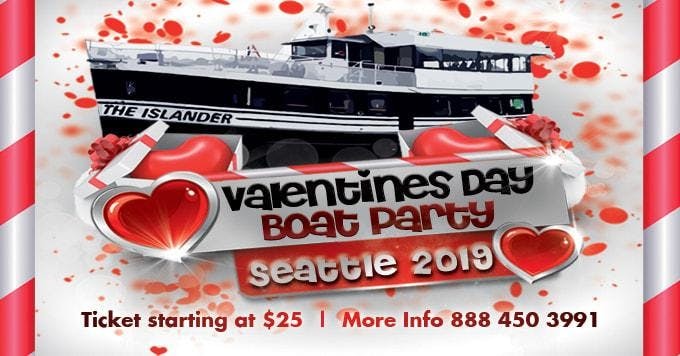 There's a cash bar on board the Islander, and you'll also be gifted with great views of the world-famous skyline, on this four-hour party around Seattle harbour. Snag a cruise ticket and then spring for a VIP upgrade, which includes a reserved table and a bottle of champagne. Is there ID or minimum age requirements to enter the event?You must be 21+ with a valid identification. You must bring 2 pieces of government IDs with you. Is there food and drinks provided? There will be drinks for sale. There is no food on the boat. This is party cruise and the easiest way to explain is its like club but on a boat.